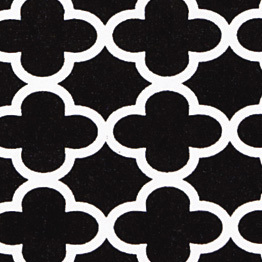 More than a few of you emailed after the post on using wrapping paper to gussy up a bouquet of flowers for my son in this Black Cloverleaf is a striking graphic and as luck and timing would have it, Midori the trade ribbon source now has a retail website. Their gift wrap is sold in packages of ten so pick your favorite and stock up on that pattern. Cloverleaf is handamde, more of a fiber paper so it does hold it's shape and can be ironed and reused. And you know how I feel about that..........bonus. 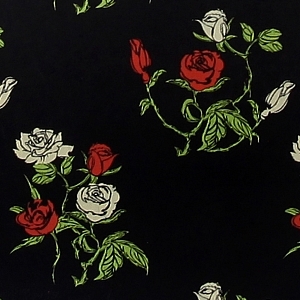 While I was there I noticed this new rose embellished gift wrap paper which might be a new stock item for me. Next week I will share a few of my favorite Midori ribbons............actually there is more than a few. new followers that left such lovely comments this week. The papers are gorgeous Sande, am excited to see more! I just love versatile wrapping papers that can be used year round. 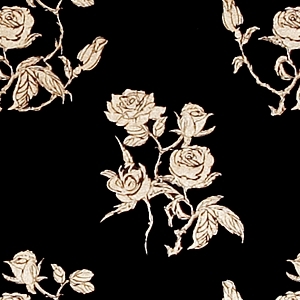 And this black and white paper is so chic. Thank you for sharing your source. This wrapped bouquet is still one of my favorite ideas you've shared! I thought about you the other day while ironing the paper that I made using recycled paper. I had added a few drops of lavender oil to the water, paper, and gelatin mixture, and the steam cloud of lavender was divine! Happy weekend, Sande, and thank you for the source. What beautiful paper Sande. I have been wrapping some of our grandsons first birthday presents ..... maybe I will be helping him wrap flowers when he is older !!!! Striking papers. Thank you for the link to Midori. never heard of fiber paper so thanks for sharing. Wow that is soooo pretty!! So you beautiful Sandegirl! Thanks for the smiles always! Beautiful...I need to replenish my collection!